March 20 is the International Day of Happiness. Here is a special post to mark the day. Happiness, to me, is like a bubble blown from a wand into the wind. It floats near me; then away. It slowly dances a tease –“I’m just within reach!” – and then it’s gone; taken by either the wind, or popped in my hand. When I have caught a bubble, I’m not happy…I’m thinking about the other bubbles: why don’t I have them all? I just never seem to be able to say: this is it. I have finally achieved happiness. As an adult there is always something I want; something I need to achieve. Graduate from university (pop goes a caught bubble in my hand). Not getting that perfect career job right away (bubble floats away). Friends getting married (bubbles floating by me…). Lose job (bubble popped by the wind in front of me). Finding someone who loves me and makes me feel safe (bubble caught, cautiously, in the hand). I know that I am not only the bubble chaser, but also the one blowing them from the wand. My expectations of myself are high and demanding. Recently I have been meeting with a leadership coach who immediately identified that when I make daily to-do lists, I literally write down everything I need to do, which really is a week’s worth of tasks not a day, so my list is never achieved and I leave work feeling like I failed. Each to-do is a mini-bubble floating in my office that joins together to create that huge hybrid-bubble structure. My struggle to capture happiness is new to me, coming later in life. And no I don’t smile and laugh in public, then sit, contemplating life, somber and alone in the dark at home. Maybe it’s because now I have access to hundreds of TV channels promoting the happiness of weddings, babies or just being a rich woman, or if it’s this new requirement that one has to post about every life detail on social media; but when I catch a bubble my thought isn’t one of happiness, it’s “well, now that I have that, I want that other thing.” I always seem to think that the next bubble will bring that ever elusive happiness. Maybe it’s because selling happiness has popped up on bookshelves and magazine covers a lot lately. It must be the new trendy word for 2013 because the United Nations has even declared a whole day of Happiness, March 20. Thanks United Nations, no pressure World. The President of the U.N.’s General Assembly, Nassir Abdulaziz Al-Nasser says the pursuit of happiness is a fundamental human goal. And I know that this post may sound whiny, and I can hear what some people are saying to their screens: “Be happy with what you have: family, health, employment.” And I am. But is that contentment or happiness? How do you measure if you are on the path to happiness? There are days when I want to walk away and travel the world, or pack everything I’ve worked at to follow a career aspiration I once had, a long time ago: I have always been that little girl lining up all the bubbles for myself, so that I could go pop, pop, caught’em all. But it’s not realistic. There is debt to pay, family who need support, a life I have of responsibilities. I also know that these really, truly, are not life and death problems, I am very fortunate (and over analytical, internalizing too much). Food, shelter, health, equality. These are universal basic human needs. The Global community should be focused on that, instead of the myth that is happiness. What the world (and Guider Sarah) needs now, are lower expectations of self. You can be happy, why then put pressure on yourself to have happiness? Girl Guides Membership Expiry? Never! What’s New with Girl Guides? 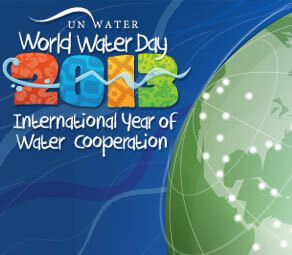 March 22, 2013 is World Water Day! World Water Day offers us the opportunity to raise awareness around water issues affecting us locally and globally especially since 2013 is the International Year of Water Cooperation! Here are a select number of related girl programming activities that you could do with your unit to celebrate the day! This entry was posted in Girls' Guides and tagged friendship. Bookmark the permalink.